For those who have been following my Jacob Wetterling story, I apologize for this short digression back to a former blog topic, but this is big news. In fact, this news is so great that I just can’t stop smiling today. I woke up this morning to find an email from Chet Pletzke, a member of the Longboat Key Historical Society. He sent me a link to a newspaper article that appeared in today’s Real Estate section of the SARASOTA HERALD-TRIBUNE. The article is about the development of the Villa am Meer property and it mentions my blog. Now then, back to today’s newspaper article in the SARASOTA HERALD-TRIBUNE. The big, great news is… drum roll please… Villa am Meer has been sold and the property is being developed by an experienced builder who is committed to restoring the historic beachfront home. Villa am Meer has been saved. And, there’s a small piece of me that would love to believe that all the hard work I put into researching and writing about the property might have helped… if even a little… to save it from the wrecking ball. And THAT’S why I can’t stop smiling. When I started this blog in 2010, I found myself smack in the middle of a mid-life crisis. I knew I was ready for a career change, but I wasn’t quite sure how to go about it. I wanted to write, and for some reason, more than anything, I wanted to write about this ramshackle beach house. My curiosity became intense, and I just couldn’t let the story go. I kept on and on, and I couldn’t explain why. All I knew for sure is that writing about Villa am Meer just felt good… and right. At the time, I had no idea where all this would lead… and I still don’t for that matter. But today, all I know for sure, is that when I walk down the beach this March… and next March, and the March after that… Villa am Meer will still be there. And maybe, just maybe, my blog had a little something do with that. So, for anyone else out there who currently finds themselves smack in the middle of a mid-life crisis, I have just one little piece of advice. Trust your gut. Do what feels good and right. Follow your passion, and pay attention to the Godbumps along the way. You might not understand it at the time, but good things will come when you follow your heart. I’m on my way home from Longboat Key today. What a week. The weather was pretty cool and windy most days, but at least the sun was out, so nobody seemed to mind much. My presentation for the Longboat Key Historical Society was on Thursday, so of course, I spent every single day working on it (because I hadn’t started it yet). When we arrived in Longboat Key on Saturday afternoon, I picked up a copy of the Lonbgoat Key Observer and there, right on the cover, was the story about me and Villa am Meer. On the cover! I couldn’t believe it. People I didn’t even know were telling me how excited they were about attending my presentation on Thursday. (The one I hadn’t started yet.) I politely nodded and broke into a sweat. Monika had quite a story to tell. It seems there was a bit of a kerfuffle back in the 80s when Monika’s family was contacted by an American lawyer who had been hired to investigate the settlement of the Kohls’ estate. Hertha Kohl had suffered a debilitating stroke in 1968, and after Hermann Kohl died in 1971, Hertha’s will was amended, leaving the entire fortune to the Benedict family. The probate judge had been told that Hertha had no remaining relatives in Germany, when in fact, that was not true. Thus, the kerfuffle. Later in the week, I was contacted by Chet Pletzke, a member of the Longboat Key Historical Society, who told me people had been contacting him all week about the presentation. He expected it to be their largest crowd ever. Gulp. By the time Thursday rolled around, my face had broken out like a teenager and I hadn’t slept in four days. The pressure was really on to deliver something wonderful. Something well-planned, well-rehearsed, well-done. Good lord, what had I gotten myself into? I met Chet earlier in the afternoon to make sure we wouldn’t run into any technical difficulties. Which, of course, we did. After much hair pulling, Chet finally determined that the cable connecting my laptop to the projector was bad, so we had to do some last-minute Macgyver-ing to make everything work. Chet mentioned again that they were expecting a large crowd. I went back to the condo and had a beer. By 6pm, an hour before my talk, Ross and I were on our way. Earlier in the week I had cajoled my entire family (husband, children, parents, brother, niece, nephew) into attending, just to make sure there would be some seats filled. Now I was worried there may not be enough. In the end, it went just fine. Once I started talking about “my house,” everything just felt easy and natural. It was like sharing a story about an old friend. This photo was sent to me by my mom’s cousin, Barb. I had just introduced Monika and her daughter, Katja, to the crowd. Hans and his wife, Ursula, are seated at the same table. But the real magic happened at the end of the night. It turns out I wasn’t the only one who had fallen in love with Villa am Meer. Others had stories and photos to share as well. Others had dreamed and wondered about this magical place… curious about the mysteries it held within its sturdy, stone walls. And then, after most people had already filed out, Monika took me by the arm and told me she wanted to introduce me to someone. She led me over to a small group where Katja, Hans and Ursula were chatting with a tall woman in a blue scarf. She had long dark hair and seemed somehow familiar. I about fell over. I had no idea that one of the Benedict daughters was in the audience that evening. She took two small, laminated photos out of her purse and handed them to me. One was a picture of six young girls lined up on the stairs of their Purchase Street home in Harrison, New York. The other was a photo of Elena’s mother, Elena Duke Benedict, sitting on the grass and playing with her young daughters. There was so much I wanted to tell her in that moment. I wanted to tell her how Villa am Meer had taken me through a mid-life crisis and turned me into the writer I had always wanted to become. I wanted to tell her that I felt she was very brave to have shown up that night, not knowing where my story might lead. And mostly, I wanted to tell her that by sharing this story, I sincerely hoped something good had come from it… something good for her family. My need to tell the story… my compulsion and dedication to it… was like a pull I’d never felt before. It was bigger than me, and it made my life feel purposeful. I wanted to know if she had felt it, too. I don’t know how this story will end… or if it ever will. I don’t know where it will lead me next. I can only trust that I’ll feel the pull again when the time is right. Until then, peace to all whose lives this story has touched. Thank you for following me on the journey. Next time… back to Jacob… Kevin’s story. March 7, 2013 – Mark the date! I have some news! I’ve been asked by the Longboat Key Historical Society to give a presentation about one of my favorite subjects… Villa am Meer. So, if any of you happen to be on Longboat Key on March 7th, 2013, I invite you to stop by the Community Center and listen to the story of “my house” and the crazy path it started me down about two years ago. As for other Villa am Meer news, I haven’t heard much lately. I know the Historical Society is interested in setting up a walking tour of the property prior to the lecture, so I think they’re trying to figure out how to contact the owner. If you have any information that could help them out, please let me know. Also, several months ago I received some amazing photos of the Benedict Estate… Hermann and Hertha Kohl’s private estate in Harrison, New York. (The Kohls were the ones who originally built Villa am Meer in 1935.) They lived in the “guest house” on the property, while their daughter and son-in-law (Elena Duke Benedict and Edward “Ben” Benedict) lived in the main house with their six daughters. As you’ll see by the photos, the guest house was plenty spectacular in and of itself. From what I understand, it even had its own attached greenhouse. One more side note. If you have any additional photos or stories to share with me about the Villa am Meer property, please leave a comment below. I’d love to have more photos to share for my presentation. Hope to see you on March 7th! Was Hermann J. Kohl ever convicted of bootlegging? If you followed my Villa Am Meer story, you know there was one outstanding question I was never able to answer… was Hermann J. Kohl (founder of Norda, Inc.) ever convicted of bootlegging by the federal court in Chicago? Just to recap a bit, Hermann J. Kohl was the person who originally built Villa Am Meer. He and his wife, Hertha, were German immigrants who came to the U.S. in 1910. Hermann (pronounced “er-MON”) held a Ph.D. degree in Chemistry from Heidelberg University and started his own flavoring and fragrance company in 1924, Norda Essential Oils and Chemical Company. At the time Kohl started Norda, the U.S. was already four years into Prohibition. Because of this, the company had to apply for a special government-issued permit in order to use alcohol in the preparation of their perfumes. The law was very clear about how much alcohol they were allowed to use each year, as well as what levels were allowable in the perfumes they manufactured. On February 11, 1930, Hermann Kohl, along with 155 other individuals from across the U.S. were indicted on federal “liquor conspiracy” charges. Among them were owners and executives from several well known druggists and perfume companies, including Norda Essential Oil and Chemical Company, C.H. Selick, Inc., a well-known manufacturer of perfumes and toilet waters, E.M. Laning, Inc., another flavor and fragrance company, Joubert Cie, Inc., a perfume factory, Allied Drug and Chemical Corporation, and Maiden Lane Drug Company. In Chapter 11 of my Villa Am Meer story, you learned that Norda had been implicated in this national “rum ring” because a man by the name of “A. Srebren” was caught selling and distributing cases of Norda perfume from his Chicago warehouse. Not a big deal, you say? The problem was that, along with the perfume, Srebren was also providing customers with caustic soda and a written formula book showing how to separate the alcohol from the essential oils. That, and the Norda Company shared warehouse space with Srebren and Company. The evidence was plenty damning, and therefore, Norda’s Vice President, Arthur Henricksen, and its Executive Secretary, Beatrice Epstein were also arrested on liquor conspiracy charges. I was able to retrieve all this information from the National Archives in New York (Northeast Region). From court documents I received, I learned that appeals for all three Norda executives were denied, and they were ordered to stand trial in Chicago on federal bootlegging charges. I wrote to the National Archives in Chicago (Great Lakes Region) to see if I could find the outcome of the federal case, but they wrote back to tell me the case filled an entire legal size archive box and contained over 1500 pages. In order for me to determine the outcome of the case, I would need to visit the National Archives myself and sift through the 1500 pages. As it turns out, I just so happened to be in Chicago two weeks ago…to see OPRAH. (If you missed that story, read “My Crazy Wonderful Week“). So, with a little persuasion (a trip to Target), I was able to convince my friend’s daughter and former babysitter, Amanda, to join me on my quest. Amanda attends school at Columbia College in downtown Chicago, which was just a few blocks from our hotel. OK, time to dive in. First, we found a list of all the people and companies who had been named in the original indictment. In addition to the New York companies named earlier, I was surprised to also see Royal Crown Manufacturing Company (RC Cola) on the list, as well as Nipola, a St. Paul company that manufactured “Lucky Lindy” perfume, named after Charles Lindbergh, who was raised in Minnesota. There was one other familiar name on the list that caught our eye… Gambino (yes, *those* Gambinos). Biagio (aka Frank) Gambino, trading as All Star Laboratories in Cleveland, was indicted in the same case as Hermann Kohl. Interestingly, he was already serving time at the federal prison in Fort Riley Kansas, and was ordered to be released from custody there in order to stand trial for this case in Chicago. Carmella (aka Charlie) Gambino was also served a bench warrant for his arrest in a different jurisdiction. So, what exactly were Hermann, Arthur and Beatrice accused of in this 96 page indictment? We read and read, sifted and sifted, and while we were able to determine that several defendants did indeed plead guilty or no contest, with fines ranging anywhere from $200 to $6,200 and prison sentences up to 18 months, Hermann and Arthur plead not guilty on June 21, 1932 (no record for Beatrice). The motion was continued to September 20, 1932 to be set for trial. We couldn’t find anything. We went through all the documents a second time, and I photographed everything that mentioned Norda, Kohl, Henriksen or Epstein, but still nothing. We’d hit a dead end. Finally, I asked one of the researchers at the National Archives why there was no transcript of the trial, and no outcome for the case. She asked a supervisor, and he told us that shorthand notes were very seldom saved, and therefore no transcripts existed for most trials during this era. However, we could very quickly determine the outcome of the case by checking the court docket. He brought out an old book with yellowing pages that gave a chronological line-by-line account of everything that took place in the Chicago federal court. I quickly paged to case number 21145, which went on for the next 21 pages. It spanned all the way from February 10, 1930, the day of the original indictment, to July 13, 1934 – four and a half years after the original indictment, and seven months after the official end of Prohibition (December 5, 1933). I quickly scanned to September 20, 1932, the date Kohl and Henriksen’s trial had been scheduled. A lot went down that day… mostly people changing their pleas from not guilty to guilty and getting sentenced, but still nothing for Kohl and Henriksen. I scanned forward to November 26, 1932 and found appearances filed for Norda, Kohl, and Henricksen, along with Jourbert Cie, Inc. and Joseph S. Lindemann, by their mutual attorney, LaVerne Norris. Still nothing for Kohl, Henricksen, or Epstein. And then… another continuance. Continued to June 19th for trial on motion of U.S. Attorney as to Allied Drug and Chemical, Centraphor Pharmacal, Chicago Toilet Supply, Majestic Chemical & Drug, Norda Essential Oil and Chemical, Perfection Laboratories, Puritan Cosmetics, Redwin Manufacturing, Royal Crown, C.H. Selick, Vidor Perfumeries, and a handful of individuals including Anastassoff Srebren, A.J. Henriksen, and Herman J. Kohl. These were the holdouts, the ones still pleading not guilty, and (most likely) the ones who could still afford their legal fees. On October 2nd, another continuance was filed for the holdouts. Trial set for November 1st. On November 1st, another continuance for the holdouts. Trial set for January 18, 1934. December 5, 1933… PROHIBITION REPEALED!! CHIN CHIN! EIN PROSIT! SKOL TO FISKEN! January 18, 1934, another continuance. Trial set for January 25, 1934. The holdouts had won. They had bided their time and bought their freedom until Prohibition ended, and just like that (*snap*), all their charges were dropped. Nolle pros… no prosecute… charges dropped. Just like that. Even Anastassoff Srebren himself. Crazy. After four and a half years of legal fees and 1500 pages of paperwork, you’d think something would have come of all this. But, in the end, the holdouts won. It’s Tuesday morning and I’ve finally had some time to exhale and catch up on my sleep. We arrived here on Longboat Key Saturday afternoon and have enjoyed beautiful, perfect weather every day. Today we woke up to our first day of clouds, so I decided to take the opportunity to write a quick update about Villa Am Meer. Here’s the view as we were just starting out. You can see the concrete groins up ahead. That’s where we’re headed. Villa Am Meer is the first property past those groins. Here’s a Google map of where we’re headed. That’s Villa Am Meer at the bottom right of the map (the house closest to the beach with the long driveway off Gulf of Mexico Drive). Once we reach the groins, you can see the tall palm trees on the property. That’s the Islander Club on the left. Notice how close to the water that resort is compared to the rest. That’s why they had to put the groins in… to prevent erosion of the beachfront. These days, new properties are required to be built much further back. So… all good news for Villa Am Meer at the moment! Later this week… an answer to the question, was Hermann Kohl or his company, Norda Essential Oils and Chemical Company, ever convicted of bootlegging? I’ve been to the National Archives in Chicago to find out. I’ve been writing about Villa Am Meer for about seven months now. In that time, this beach house has become like an old friend to me. I’ve imagined what it would have been like to have stayed there, listening to the waves crash on the shore, sipping a cool glass of Chardonnay at sunset, and snuggling around the wood-burning fireplace after sundown. I’d like to imagine there were no TVs allowed here, and that guests were asked to leave their cell phones at the door. I imagine soft music playing, an acoustic guitar, and dancing on the rooftop patio under the moonlight. I’ve been told of family Christmases at Villa Am Meer, with delicious Italian food and homemade ravioli. I’ve been told of summertime parties with friends, sangria, brie cheese and strawberries. And, I’ve been told of the “little house” – a one level, two bedroom guest house on the northeast corner of the property. It had a tiny fish pond in front of it, and a wrought iron bridge you had to cross in order to get to the front door. The “real magic” took place here, from what I’ve been told. As one might imagine, the family is very private. I guess I would be too, especially if some crazy midwestern woman with no earthly connection to the house suddenly started blogging about it. But, I do hope to connect with them one day. I hope that by sharing the history of this house, I haven’t caused them any distress. That was never my intent. Those who know me would tell you I’m not that kind of person. So then, what WAS my motivation for writing about this house? In the past seven months, I’ve been asked this over and over, and the answer is both simple and complicated. I guess it all boils down to this… it got me writing again. I’ve always loved writing, and it seems to come naturally to me. However, a few years ago, I became hell-bent on writing something in order to get it published. I wrote a few children’s books, a middle-grade novel, a screenplay, and even a corporate gift book. Nothing was published. This didn’t surprise me; I knew the odds. But, I have to admit, it was hard on my ego. I wasn’t used to failure. So, I quit writing. I decided if I couldn’t make my living as a writer, then what was the point. I went back to what I knew and saved myself the heartache. For two years, I wrote nothing at all. I turned 40, took up snowboarding, and became obsessed with tracking down every branch of my family tree. When I ran out of branches on my own tree, I started tracking down my husband’s branches. Anything to keep from writing. Then, last March, I was walking along the beach with my husband, on our way to The Colony to have a margarita. I spotted my favorite little beach house amidst a rumble of big rig construction. It appeared war-torn and vacant, and I was certain it was about to be torn down. I ran back to our condo and grabbed my camera, determined to preserve this little nugget of Longboat Key history. I knew nothing about the property or its owners, but for 15 years that little beach cottage had piqued my curiosity, and since it appeared to be on its final death throes, I decided to ask a few questions. And that’s how this whole journey started. Well, I guess because it just felt good. It felt good to be writing again, and I loved the instant feedback that blogging provided. People were commenting on my posts, adding to the story, encouraging me to go on. And so… go on I did. There was also that moment, while I was on vacation in Montana, when I first learned of Elena’s death. The news hit me hard, and the synchronicity of that event seemed absolutely uncanny. At that point, the story seemed to take on new meaning… like it was bigger than me and just ached to be told. I can’t explain it really… it just seemed like continuing the story was the right thing to do. On August 1, I began reading The Artist’s Way by Julia Cameron. Ironically, I’d given this same book to an artist friend of mine a few years ago, never assuming it would ever apply to me. I was a writer after all, not an artist. The Artist’s Way has changed the way I look at the world. I’ve now realized that the reason I kept on writing about Villa Am Meer is because I was finally writing for the right reasons… not to gain fame, wealth, or success… but simply to enjoy the process. “Creativity is God’s gift to us,” Julia Cameron writes. “Using our creativity is our gift back to God.” The refusal to be creative is counter to our true nature. I must admit, I’ve been lost for a while, manically trying to busy myself with other pastimes while my one true passion has been stuffed inside a storage locker made of gray matter. And now, I feel like Simba, staring into the water and hearing the reflection of Mufasa telling me, “You are more than what you’ve become, Simba.” Yes, Mufasa, you’re right. I am more than what I’ve become. And so, starting January 1, my business partner and I have decided to take a two month sabbatical to “be still.” For twenty years, we’ve run a small ad agency together… a company we started just out of college. It’s been a crazy ride… turbulent, exhilarating, and often scary. But through it all, we’ve grown up together, raised our families, and remained best friends. And after twenty years, we’ve decided the best gift we could give each other is two months off. Imagine it… two months of peace and art. Groovy, baby. I do hope to continue writing about Villa Am Meer, if any new information should trickle in. In the meantime, feel free to follow me on my journey. For those who don’t know me, my father is a Minnesota Christmas tree farmer who runs two cut-your-own farms, several tree lots, and a large wholesale operation from his company just north of Minneapolis. Last week, he wanted to go look at some trees from a grower in Quebec, so my mom decided to go along because she’d never been there, and I got invited along because I know how to speak French (sort of). I’d been to Quebec once before, on a 9th grade French trip, but truth be told, I couldn’t remember a single thing about the city or the trip. So, we did the town, took some tours, drank some wine, ate a lot of great food, and had a fabulicious time. While I was in Quebec, I received a few blog comments that I thought I’d pass along. First, I heard from someone named Frank who mentioned he’d been good friends with Ralph Smith, a husband to one of the six Benedict daughters. It turns out Ralph had been the best man in Frank’s wedding, so every now and then, the two couples would vacation together at Villa Am Meer. Frank mentioned that he and his wife spent many evenings sleeping in the southwest bedroom of Villa Am Meer, listening to the sounds of the waves crashing on the beach. 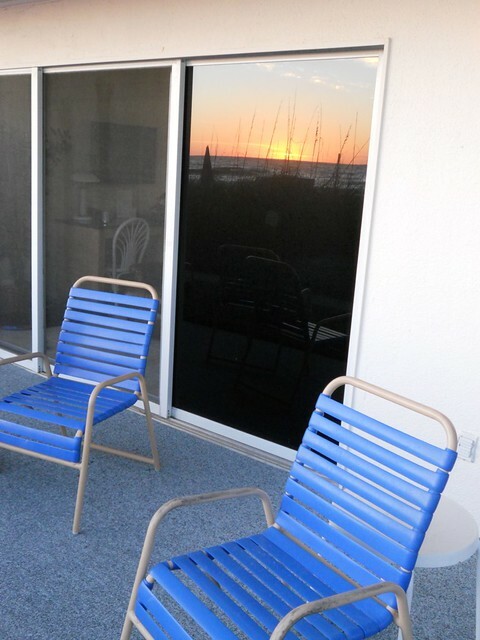 If my bearings are correct, I believe the southwest bedroom is the one with the beautiful stained glass window that faces the beach. I also heard from someone named Annette who mentioned that she’d worked on the Tilly Foster Farm from 1985-1999, and served as Manager for the last five of those years. She mentioned that Elena called Mrs. Kohl “Tante” which means “Aunt” in German. It was Mrs. Kohl (Hertha) who was the one with the parrots, and in the attic of one of the barns at the Tilly Foster Farm, there were several large, ornate bird cages that used to belong to Mrs. Kohl. A while back, I also heard from Shannon O’Donnell who is a Historical Data Analyst for the Florida Master Site File, a State maintained inventory and archive of recorded cultural resources in Florida. She had found a link to my blog in a recent issue of Sarasota History Alive, and contacted me about recording the Villa Am Meer property with the FMSF. That way, if it was ever to be torn down in the future, there would be a permanent historical record of this beautiful home. I was concerned about whether this “historical designation” would hinder the future development of the property, and she assured me it would not. I was also concerned that I had no direct link to the property, nor its original owners, but she assured me that anyone could register the property, regardless of whether I was an owner or not. So, with a little guidance, I completed the form and now Villa Am Meer is officially recorded with the Florida Master Site File for all posterity. Shannon also included all the posts from my blog, along with the photos I had taken of the property. For future reference, the Florida Master Site File ID number for Villa Am Meer is SO6900. I’m afraid I’m coming to the end of my Villa Am Meer story, not for lack of interest, but simply because I’m running out of material. If you have any thoughts, memories, or photos of this house, please send them my way. In Chapter 9, we learned that Hermann Kohl and his company, Norda, Inc., had been brought up on bootlegging charges. Another Norda executive, Arthur Henriksen (Vice President), along with secretary, Beatrice Epstein, were also charged. All three of them were arrested in New York City on February 3, 1931 and charged with conspiracy to violate the National Prohibition Act. They were arraigned and posted bail, along with 17 other men and one other woman. Their hearings were scheduled for the following Monday. So what happened at that trial on Monday, February 9, 1931? They lost. They were taken into custody and sent to jail. How do I know? Because according to the appellate brief I received last week from the National Archives at New York City, Terence J. McManus, lawyer for Kohl and Henriksen, was appealing the decision from August 7, 1931 which dismissed the writs of habeas corpus for the two men. In a nutshell, that means McManus was trying to get his clients out of jail. He lost the appeal as well. The order was affirmed, and the two defendants remained in jail, awaiting their removal to Chicago where they would stand trial on federal bootlegging and conspiracy charges. Both appellants have been chemists for many years. Kohl is the president and Henriksen the vice-president of the Norda Essential Oil & Chemical Company, which had obtained a permit for the use of 600 gallons of alcohol, actuallly using only about one-half of it. The Norda Company dealt in essential oils, such as lavendar, geranium, Rose Marie, spike and thyme, and its articles were used mainly by the soap industry. The total business per annum of the Norda Company was approximately $1,680,000, consisting mainly of essential oils. The business done in alcoholic preparations was approximately $9,000. In spite of the fact that Norda had a legitimate government-issued permit for the use of alcohol in its perfumes and toilet waters, the problem wasn’t that Norda was selling its perfumes to people who wanted to wear it. The problem was that Norda was selling its perfumes to people who wanted to drink it. I’ve learned a bit about perfume-making while I was writing this post. Surprisingly, perfume-making is pretty simple. First, you come up with a scent you like by combining a variety of essential oils. Next, you add grain alcohol and water to the oil mixture, in the proportions listed below. The stronger the scent, the higher the concentration of essential oils, and the greater the alcohol content. Therefore, perfume smells stronger and stays on the skin longer than “eau de toilette” (toilet water) or cologne. So now… we know Hermann Kohl and his wife Hertha moved from their residence at 400 West 148th Street in Manhattan, to 336 Halsted Street in Essex County, New Jersey sometime between 1918 (the year Kohl registered for the draft) and 1920 (the year of the U.S. Census). From his obituary, we also know that Kohl founded Norda in 1924… four years after Prohibition was passed. So, clearly, Norda was not one of the original 125 legitimate perfume businesses operating prior to 1920. At the center of this national liquor ring was a man by the name of “A. Srebren.” He ran a business called “Srebren & Company” in Chicago. Ironically, the Norda Company shared the same warehouse space as Srebren & Company. And so, in the end, Kohl and Henriksen’s appeal was denied, the original order was affirmed, and both men were to be removed to Chicago to stand trial on federal bootlegging charges. And there in Chicago, at the office of the National Archives and Records Administration (NARA), stands a box with over 1500 legal sheets of paper, just waiting for me to comb through it. In the last chapter, we learned that by 1920, the year Prohibition took hold in America, Hermann and Hertha Kohl had moved from Manhattan to East Orange, New Jersey. For what? We can’t be sure, but an educated guess says that Hermann J. Kohl partnered with the Winter Brothers of the Orange Brewery during the early years or Prohibition to create “Jo-La Cola”, a carbonated soda drink marketed like champagne and sold in a champagne bottle. From there, he likely went on to create his own business, Norda, Inc., in nearby Boonton, New Jersey, where he created other flavorings and additives for the beverage industry. Three years later, on February 11, 1930, a New York Times article broke the news that 155 individuals from across the U.S., including several residents of New York City, had been indicted on federal “liquor conspiracy” charges. Among them was Dr. Hermann J. Kohl, head of Norda Essential Oil and Chemical Company. Other companies included in the indictment were C.H. Selick, Inc., a well-known manufacturer of perfumes and toilet waters, E.M. Laning, Inc., another flavor and fragrance company, Joubert Cie, Inc., a perfume factory, Allied Drug and Chemical Corporation, and Maiden Lane Drug Company. One year later, on February 3, 1931, Hermann J. Kohl, President of Norda, Arthur J. Henrickson, Vice President, and Beatrice Epstein, Secretary, were all arrested in New York on indictments returned from Chicago charging them with being part of a national liquor ring. (Read the complete article.) All three were arraigned and posted bail. In October of 1931, Hermann Kohl and Arthur Henrikson appealed their case to the U.S. District Court of Southern New York. Two orders were filed, one on October 13, 1931, and the other on October 22, 1931. Their appeal was heard in Nov-Dec of 1931 and the opinion made on January 4, 1932. The original order was upheld, meaning their appeal was denied, and they were still ordered to stand trial in Chicago on federal bootlegging charges. I obtained all this information from the National Archives and Records Administration (NARA), Northeast Region, in New York. I’ve ordered the complete brief of Kohl and Henrikson’s appeal trial, so I will probably learn more from that once I receive it. I also contacted NARA Great Lakes Region in Chicago to see if I could determine the outcome of the federal court case, but they wrote back and told me that the case fills an entire legal-size archive box, which holds up to 1500 sheets of paper. They told me they don’t have the manpower to wade through that much paperwork, but I’m welcome to visit the NARA office and wade through it myself. Hmmm… road trip anyone? When did the Kohls “adopt” Elena? According to the 1930 U.S. Census, she was still living with her parents at age 13, so it had to be sometime after that. From 1930-1932, Herman Kohl was embroiled in legal battles relating to the federal rum-running case, so it seems a bad time for him to take on an adopted daughter. That being the case, she must have been at least 15-16 before she was taken on as a legal ward of the Kohls. Was Herman Kohl ever convicted? If so, how long did he serve? On April 18, 1933, Hermann J. Kohl was listed as a passenger aboard the S.S. Europa traveling from Bremen, Germany to the U.S. He was 43 years old at the time, traveling with a 45 year old single woman by the name of Ellen Jacobsen from Southampton, Long Island. So, if he did serve any time, it wasn’t very long. At what point did Hermann Kohl become an investor in Tropicana? Villa Am Meer was built in 1935. That same year, Hermann J. Kohl was earning one of the highest salaries in all of New York at $77,840 (Source: New York Times, 1/7/1937). 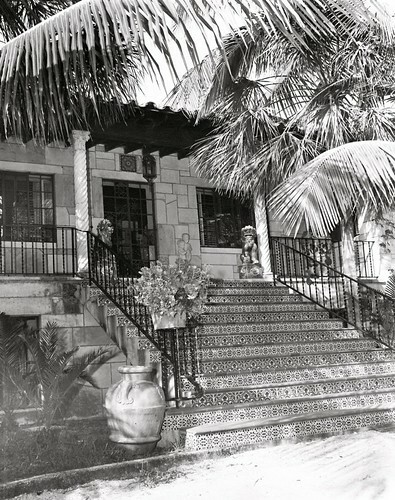 According to Anthony Rossi’s biography, we know he was in Miami running the Terrace Restaurant until 1944, and didn’t even start his fruit shipping business until 1945. I have to assume somewhere in that timeframe of 1945 to 1949 (the year Tropicana was founded), Rossi began selling his orange juice by-product (pulp and peel) to Norda, Inc. for use in their flavor and fragrance business. I’m sure it was at this time Kohl decided to become a partner in Rossi’s enterprising orange juice business. On September 8, 1910, Hermann Joseph Kohl landed on the shores of Ellis Island in New York Harbor. He left his hometown of Schwerte, Germany, boarded the S.S. Cincinnati, and set sail for the land of the free. According to the ship manifest, he was 21 years old. His occupation… druggist. Schwerte is presently located in west central Germany, just northeast of Dusseldorf in the beautiful Rhineland region. According to Wikipedia, it belongs to the present day state of North Rhine-Westphalia (“western plain”), usually shortened to NRW, and is the westernmost, the most populous, and the economically most powerful state of Germany. However, back in 1910, Schwerte, Westphalia belonged to the Kingdom of Prussia, which included all of northern Germany, western Russia, and Poland (see map at right). The kingdom was ruled by the Hohenzollern dynasty, and most notably, by Prussian Prime Minister Otto von Bismarck who unified the German states in 1870, forming the basis of the German Reich in 1871. At age 21, every male who lived within the Prussian Empire was subject to “conscription,” or what we call “the draft.” They were required to serve three full years of active military duty, followed by another 4-5 in the reserve. Once their reserve duty was finished, they became a member of the “Landwehr” for another 2-5 years, similar to our National Guard, and could be called up for active duty during times of war. From his obituary, we know that Hermann Kohl received a Ph.D. degree in chemistry from Heidelberg University. Heidelberg was located in southwest Germany, outside the Prussian Empire. So, at age 21, Kohl would have been faced with the dilemma of returning to Prussia to serve his military duty, or to take his newly-aquired chemistry degree and head for America. It appears he chose the latter. By the summer of 1914, World War I had begun in Europe, triggered by the assassination of Archduke Franz Ferdinand of Austria, the heir to the throne of Austria-Hungary. Anti-German sentiment was on the rise in America, and many German immigrants were anxious to become naturalized citizens of the U.S., denouncing their loyalty to their former country. The naturalization process took five years, and lucky for Kohl, he had filed his “first papers” soon after arriving in the U.S. — on July 31, 1911, at Ellis Island, NY. The first responsibility for an immigrant wishing to become an official U.S. citizen was to complete a Declaration of Intention. These papers are sometimes called First Papers since they are the first forms to be completed in the naturalization process. Generally these papers were filled out fairly soon after an immigrant’s arrival in America. Due to some laws, there were times when certain groups of individuals were exempt from this step. So, on April 26, 1916, Hermann Joseph Kohl renounced his allegiance to William II, Emperor of Germany, and became an official citizen of the United States of America. From his “final papers,” we learn some valuable information about Hermann Kohl. First, we can see he was born August 7, 1889 in Westfalen (Westphalia), Germany. He was living at 400 West 148th Street, in present day Harlem, about a mile and a half north of the famous Apollo Theater. His occupation was “pharmacist,” and by this time, he was married to his wife, Hertha Kohl, who was born in Germany. Kohl was now 26 years old, and though he may have escaped the draft in Prussia, it still caught up with him in America. On June 5, 1917, Hermann Joseph Kohl registered for the World War I draft. He was still living at 400 West 148th Street with his wife, Hertha, and now working as a “chemist.” On the draft card, we also learn that Kohl was tall, slender, had blonde hair, blue eyes, and was not going bald. He also had all his limbs, both eyes, and wasn’t otherwise disabled. A real catch. Three years later, Hermann and Hertha show up on the 1920 U.S. Census living at 336 Halsted Street in East Orange, New Jersey. Clearly, they are not “rolling in it” quite yet. So why the move to East Orange? Hard to say. A quick look at Wikipedia says that hatmaking had been the essential industry in East Orange, with 21 companies employing 3,700 people in 1892. But by 1921, only five firms remained. So, what else was in East Orange, New Jersey? Beer. The Orange Brewery was constructed in 1901 by the three Winter Brothers of Pittsburgh, Pennsylvania. By the late 1890’s they were nearing capacity at their Pittsburgh facility, brewing 150,000 barrels a year. So, in 1899, the brothers sold their lucrative enterprise for over $4,500,000 to the Pittsburgh Brewing Company (PBC), packed up their profits and headed for East Orange, New Jersey. In 1901, Michael and Wolfgang Winter built a brand new $350,000 building in East Orange and named it the Orange Brewery. The Orange Brewery ran a profitable business and had a good run until 1920, the year Prohibition hit the U.S. And while Prohibition may have been bad for the Winter brothers, it seems it was abundantly good for Mr. Hermann Kohl. And so it began… Hermann Kohl’s little flavoring and fragrance company called Norda, Inc. was founded in 1924 in Boonton, New Jersey. Eleven years later, in 1935, Kohl would be listed in the New York Times as earning one of the highest salaries in all of New York. Oh, but wait, there’s so much more… and I haven’t even told you about my whirlwind trip to New York City last weekend! Next time… a raid at Orange Brewery, and a messy little court case. Sorry for the lapse in my blog posts lately. I had run into a brick wall as far as new information was concerned, and I didn’t want to bother any of the Benedict family so soon after Elena’s death, so I was a bit stuck. However, I still had plenty of questions, and with a little digging, I was able to find some answers. 1. In what year did Hermann Kohl come to be an investor in Tropicana? Did he know the company’s founder Anthony Rossi? About a month ago, I had purchased Anthony T. Rossi’s biography from Amazon.com, hoping to find some mention of Hermann Kohl’s involvement in the company. The book was written by Rossi’s second wife, Sanna Barlow Rossi, in 1986, and I have to admit, it was a pretty interesting read. Anthony T. Rossi is widely known as the founder of Tropicana. In 1921, at the age of 21, he left his hometown of Messina, Sicily and set out for New York City with 30 dollars in his pocket and a knapsack on his back. Before too long, he had a job working at his uncle’s machine shop, and within a year, had purchased a car that he used to start driving taxi cab. Not long after that, Anthony bought a Cabriolet and became a chauffeur for the nephew of a famous NYC lawyer, Elihu Root. Soon he was making $450/month, and began sending regular checks home to support his family in Sicily. By the time Anthony was in his late 30s, he had started a grocery business, a restaurant, and married Florence Stark, the daughter of a Methodist minister. It was about this time he decided that New York was too cold and he wanted to move south. Perhaps he would try farming. They spent one year in Cape Charles, Virginia growing tomatoes, then decided to move further south to Bradenton, Florida. They purchased 80 acres on Cortez Road and started farming tomatoes. Before long, Anthony saw another business opportunity arise when a cafeteria on 6th Avenue and 12th Street came up for sale – the Floridian. He bought the building and the business for $8,000 and convinced his brother Joe, a chef at a large hotel in Chicago, to come and cook for him. In the cafeteria’s first year, its net profit was $35,000. With expansion in mind, Anthony convinced Florence to move to Miami and open a second restaurant in July of 1944. The Terrace Restaurant could seat 500 guests, but it was war time, and the tourists just weren’t coming in like he had anticipated. Soon, he was losing $1,000 a day. A devout Christian, Anthony was reluctant to sell alcohol in his restaurant, but in order to stay in the black, he agreed to start selling liquor at the tables, as long as there was no bar. He sold the Floridian in Bradenton for $35,000 in order to shore up the failing restaurant in Miami. But in one month, all the money was gone. On December 28, 1944, only five months after starting the Terrace Restaurant, Anthony received a call from a realtor who had a client willing to buy the business – Lou Walters, father of television news personality, Barbara Walters. The deal was made, and Anthony Rossi was free to start again. Anthony began his career in the orange business picking out Florida citrus from Miami supermarkets, packaging them, and shipping the gift boxes to retailers like Macy’s and Gimbel’s department stores in New York. He worked hard to pick the best quality fruit and sell it at the lowest possible price, and soon his business was thriving. Florence’s niece, Dorothy Brown, and her husband Bob joined the gift box business, and the orders continued to pour in. They named the company Fruit Industries, Inc. But Anthony wasn’t satisfied. He realized if he returned to Bradenton, he could buy the fruit cheaper straight off the trees and make a higher profit on each gift box. So, Anthony and Florence returned to Bradenton while Dorothy and Bob stayed in Miami. They purchased a warehouse, and soon, two rail cars of fruit boxes were shipping out of Bradenton each day. But, the dilemma… what to do with the smaller oranges that weren’t big enough or perfect enough for the gift boxes? The answer? Orange juice. Word had it that the Waldorf-Astoria Hotel in New York City was employing 40 women a day to cut up the Florida citrus fruit for appetizers and salads, and squeeze the remainder into fresh orange juice. Anthony knew he would have a market for his jars of sliced citrus and fresh fruit juice if he could just figure out a way to ship it up to the great New York hotels without spoiling. They began acquiring trucks and blew chipped ice into the trailers to keep the juice and fruit sections chilled on the one-and-a-half-day trip to New York. The trucks had to make regular stops to add more ice along the way, but it worked, and business boomed. By 1950, Fruit Industries, Inc. had changed its name to Tropicana and had a standing order of 1,000 gallons of fruit juice per week, just for the Waldorf-Astoria alone. Even with the new refrigerated trucks, they couldn’t ship the juice fast enough. Anthony had to think of a way to get more juice to New York faster. On April 12, 1951, Anthony’s beloved wife, Florence, died of a heart attack. Left alone, he threw himself into his work. He wracked his brain over the company’s transportation dilemma and finally decided that the only way to get the juice up to New England faster was to buy a ship. And so, he did. After much nay-saying from his critics, Anthony Rossi watched the S. S. Tropicana pull into New York harbor on February 19, 1957. The ship left Tropicana’s new five million dollar packing plant at Port Canaveral, Florida, loaded with two million gallons of orange juice, chilled in six custom-welded, refrigerated, stainless steel tanks. They called it “The Golden Stream” as the juice left Florida, bound for New York City. When cold weather ruined Tropicana’s orange crop in 1964, Anthony Rossi had to get creative once again. He refused to buy orange concentrate even though it was readily available from Brazil, and instead focused on how to supply his Florida plants with fresh oranges from Mexico. He began shipping oranges on giant freighters, but on the third cargo load, a state inspector noticed evidence of the Mexican fruit fly and shut down the operation. It was then Anthony proposed the world’s first floating orange juice factory. The Mexican Pride was a fifty-foot-wide hulking barge that loaded fresh oranges by conveyor belt from wherever they could be found, then processed them and chilled up to 225,000 gallons of juice, all on board the floating factory. From there, juice was pumped from the mother ship to another barge that would take the juice up to Tropicana’s bottling plant where it was distributed to the hungry juice markets. Better plans and production methods were always in the works, and soon the S. S. Tropicana and the Mexican Pride were replaced with more efficient methods of processing and transportation, namely refrigerated boxcars. This concept evolved into Tropicana’s famed “Great White Juice Train,” consisting of 150 insulated boxcars. In 1969, Tropicana Products, Inc went public, and in 1978, Anthony Rossi sold Tropicana to Beatrice Foods. The company was later acquired by PepsiCo in 1998. So, back to my original question, in what year did Hermann Kohl become an investor in Tropicana? And, did he know Anthony Rossi? The answer is, I don’t know. According to the Benedicts, Tropicana was a tiny local company prior to Hermann Kohl’s involvement. It grew to national prominence at his direction, and the whole concept of fresh juice distribution, logistical expertise, and the ability to finance it were all his.